I gave myself permission to retreat from the public for a while, to hole myself away in my studio to work with new material and ideas. I needed to be able to make mistakes and to fail without scrutiny. It’s been like my own extended artist residency. But now, I feel it is time to reemerge and to share what I have been up to. Sometimes living and working in Eugene, Oregon can feel isolating. It is far removed from any major art center. In the summer of 2016 Kathleen Caprario, another local artist, was also feeling isolated. She decided to invite a group of artists that she admired and wanted to know better to meet for conversation. There was no real agenda, the purpose was to just talk. Nine artists showed up. Eight of us continued to meet and created a group called Gray Space, and a few more people have been added since we first formed. We are celebrating the fact that we are not in a metropolitan area (Portland), and that the artwork that we make reflects that. We share artistic practices that explore the connection and relationships we have to the specific places in which we live. Gray Space has become a major influence on the way that I approach the artwork that I am currently making, which is why I am taking this opportunity to introduce you to what we are doing. I invite you to visit our website for more information. • A group of artists. Oregon artists, based in the Corvallis, Eugene and Roseburg areas, came together in 2016 to claim agency and circumvent institutional structures that require artists to ask permission. It is a group that fosters creative strength, exchange and exploration. • A physical module. The 6’x 6’x 6’ cube, constructed of steel and plexiglas, is a space for art installations. The cube is an adaptable, movable mechanism through which art is presented and perceived. 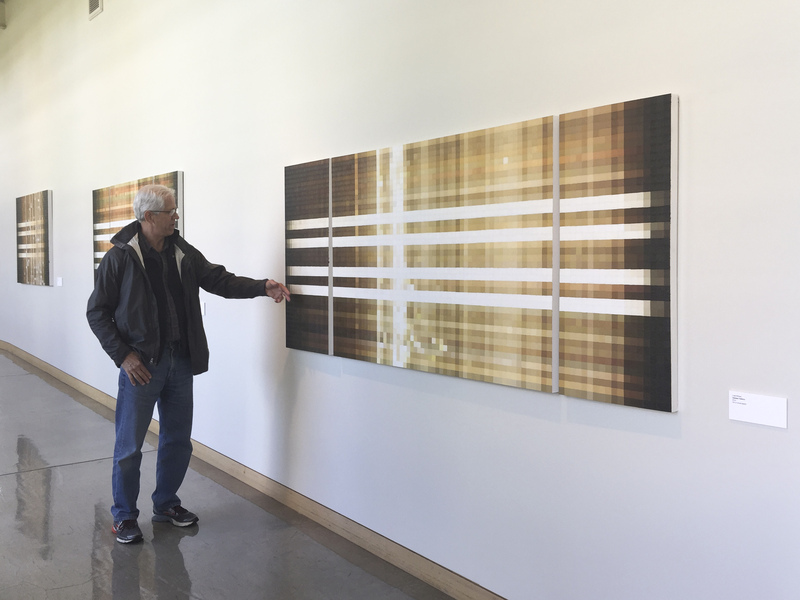 Each artist carefully considers the location of the Gray Space cube as integral to his or her specific work. It offers a unifying set of constraints for the artists and a recognizable form for the audience. • A project. Gray Space explores how art influences place and place influences art. The project invites the inclusion of an unforeseen or unexpected audience, broadening definitions of where art can exist. 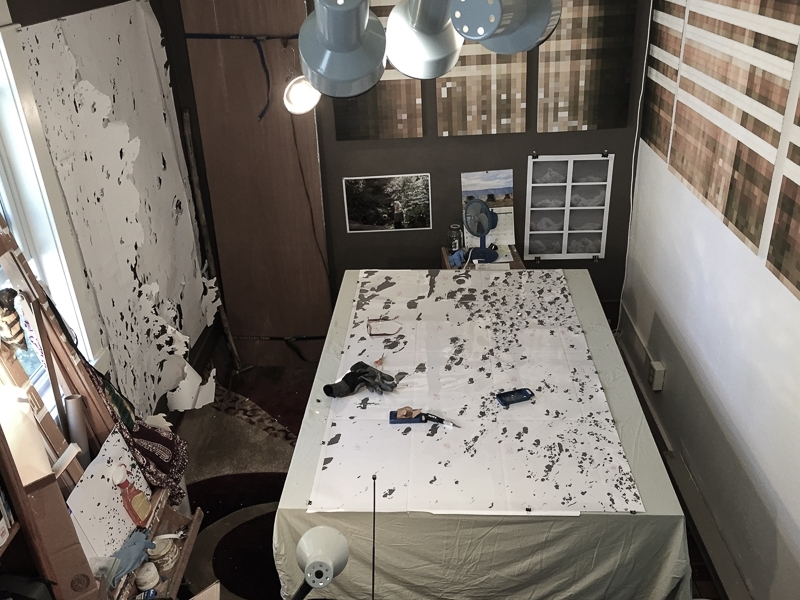 Each installation of Gray Space is created and curated by the individual artist. 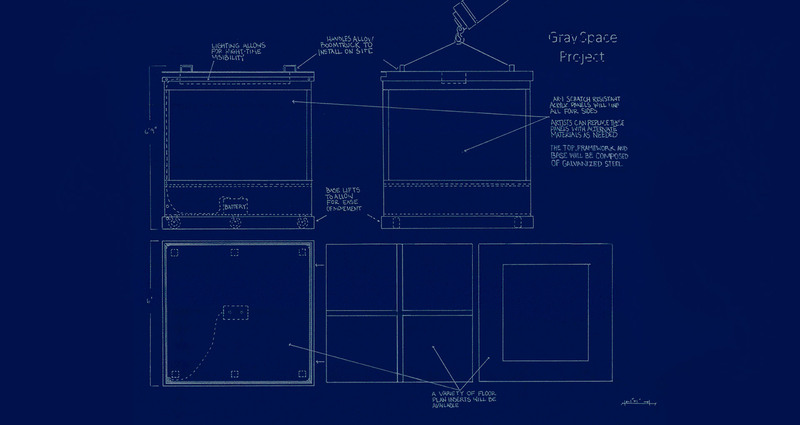 Locations are mapped and the work is documented on the Gray Space website. My first project for Gray Space, Constructing Water, is still underway. I took our collective goal to foster creative strength and exploration to heart. In doing so, I have had many false starts and a failed attempt that needed to be trashed after months of work. I am working with a clear material called Dura-Lar. It follows a previous hand-cut paper project, ReCompose that I made for Rot: The Afterlife of Trees, an exhibition presented by Oregon State University, The Spring Creek Project and the HJ Andrews Experimental Forest that was first shown at the Art Center in Corvallis, OR and traveled to the World Forestry Center in Portland, OR. I was invited to write an essay, Discovery Trail, for the exhibition catalog about my experiences working with the Andrews Forest. 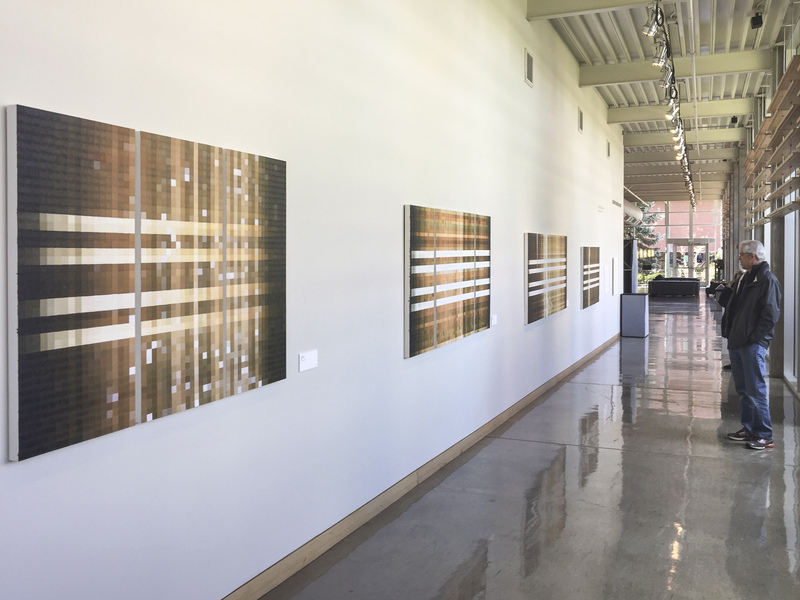 After the Rot show, I created another long-term project called Solstices/Equinoxes that was exhibited at Willamette University in Salem, OR. You can find more information about that project and a great essay written by the curator, Andries Fourie on my website. Constructing Water will make its public debut this summer in the Gray Space cube. In the meantime, I am documenting the process on my Constructing Water Work in Progress page. 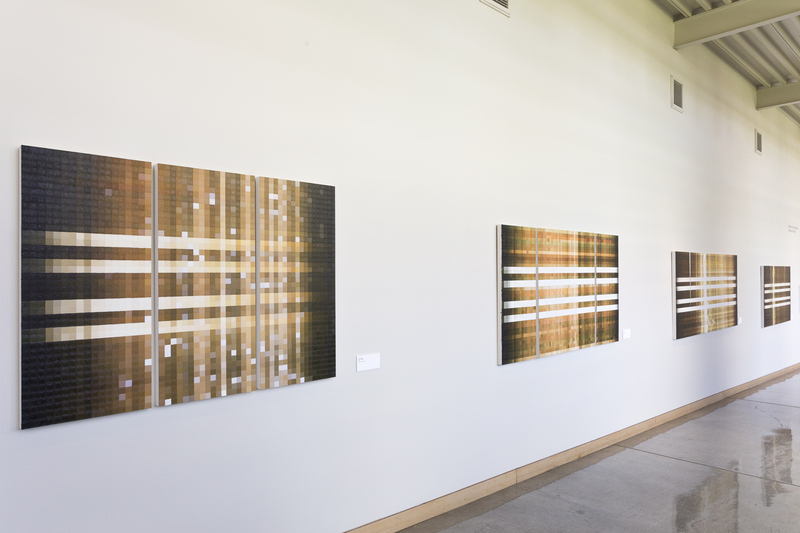 I will also be showing ReCompose in Eugene, OR this May at our Gray Space kick-off. More information about that will be available closer to the date.